Mums are truly the heart of the family, and now she'll know just how much she is appreciated when she receives this beautiful and custom Women's T-Shirt. Choose from a variety of designs to fit her personal style. Our t-shirts for Mum are great gifts for birthdays, Christmas, or Mother's Day. With such special meaning, these shirts will be a treasured keepsake for years to come. There's nothing like a personalised t-shirt to create a fun and unique look that Mum will love. These 100% cotton shirts feature a bright and vivid design printed on demand to your white t-shirt, resulting in a professional look. Choose from a variety of available sizes. Good quality, and nice that it matches the baby and pappa bear shirts. This mummysaurus tee was a great addition to go with the daddysaurus tee, and personalised babysaurus tee & bibs- completes the whole family for our dino crazy little one! I would buy a size up from what you'd normally wear though. Great service with prompt delivery! Slim fit, but love it! I received these slim fitting cotton T-shirts as expected. Would order a size up next time though. Please click the 'Description' tab to see a complete size guide. Please keep in mind that our women's sizes are a slim fit as opposed to a wide fit. 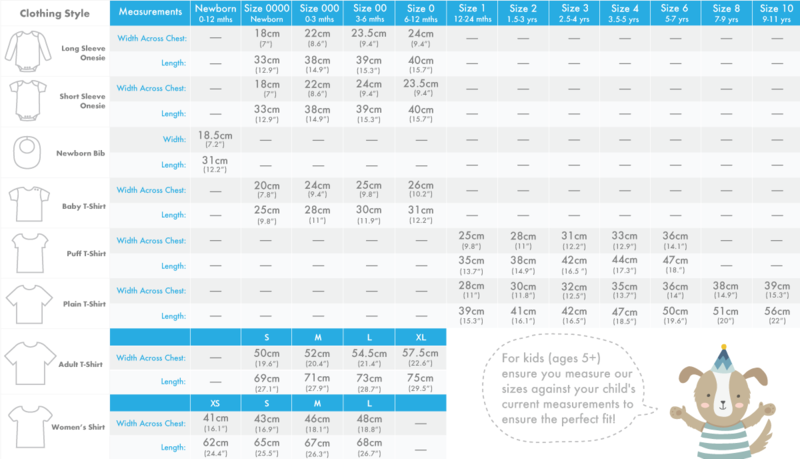 As each person varies in size we recommend you measure her and choose a size based on our width and height measurements displayed in our size guide.